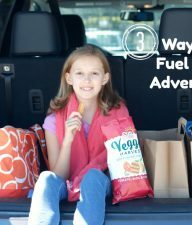 It’s kinda crazy that my youngest has just turned 9 years old… what?? Where did the time go? So for this monumental occasion, we gathered our cute cousins for a big kid birthday bash at Chuck E. Cheese’s! We are partnering with Chuck E. Cheese’s and their 40th year celebrating birthdays! Can you believe it’s been 40 years of fun? I remember going as a child for a friend’s birthday and it was one of my favorite places – pizza, tickets, prizes, and Chuck E. Cheese!! I love that we got to share this same exciting experience for my daughter’s birthday with her cousins! 1. 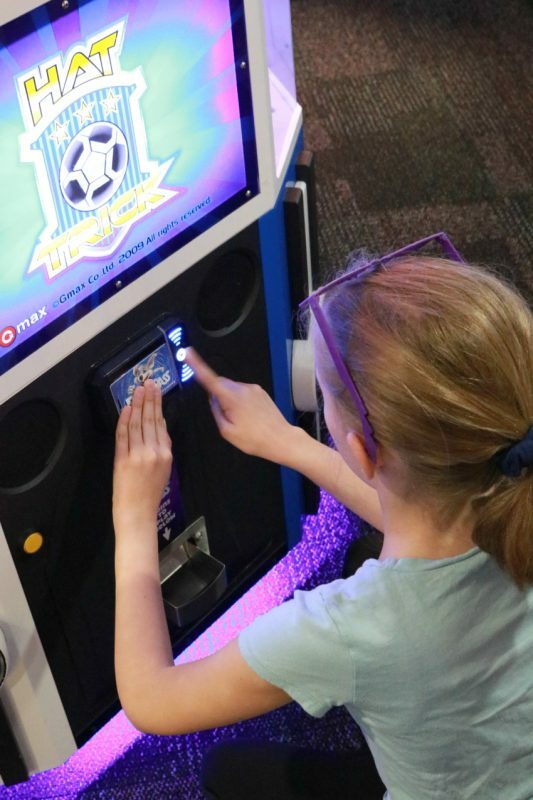 Ticket Blaster Experience for the Birthday Star: My daughter chose her cousin M to join her in the booth and they went crazy for tickets when the timer started. It was so fun to watch the excitement as they tried to catch as many tickets as they could! 2. A dedicated party host to serve your guests – Our host was MY favorite part. We just showed up and she handled everything. It was all set up when we arrived, and they cleaned up at the end as well. We just got to enjoy the fun! 3. Pizza and unlimited drink refills per child – Pizza for the kids (I had 2 slices myself), and we ordered yummy sandwiches and sample platter of snacks for the adults. There’s even a really yummy salad bar which a few grownups chose to eat! 4. 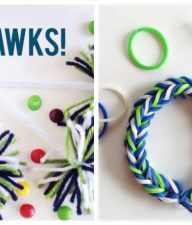 Customizable email invitations – Sending out email invitations for your guests through Punchbowl was a cinch. 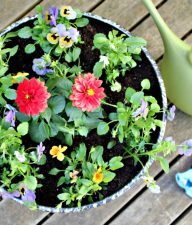 Such a simple and efficient way to invite our guests. 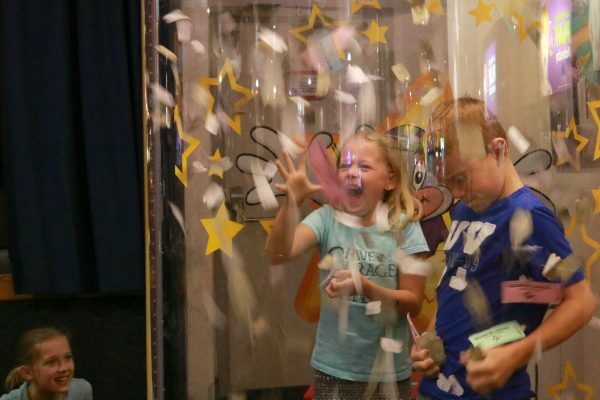 And if you book the Eat More Play More Birthday Package, it’s geared towards older children providing more pizza and tokens for play time, it’s the same price package as the Super Star package… score! So much fun to celebrate with cousins on your birthday! 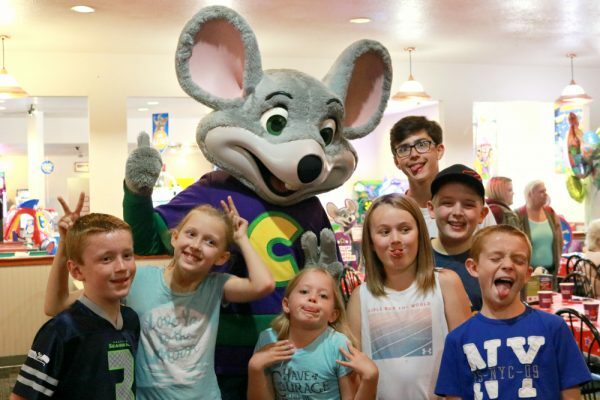 We also booked our party online, it was super easy to do and we ended up getting a few extra surprises – more tickets, more tokens, and dessert treats! By booking online, I was able to easily make a few changes to my party even just 2 days before, as we needed to add an extra child! I love how simple it was. For dessert, you can bring in your own cake, but we just used our dippin’ dots that came with our package for the kids. When it was time for the show with Chuck E. Cheese, our host put a candle in my daughter’s ice cream for her to blow out with all the other party kids in the party room! Of course there are so many great games to play, even the adults got in on some token action. We all played some ski ball, love that game! Our party included a PlayPass card which was already loaded with tokens to play for up to 2 hours for the kids, totally worth it! With all our kids being a bit older, we all felt great with them pairing up and hitting the games. 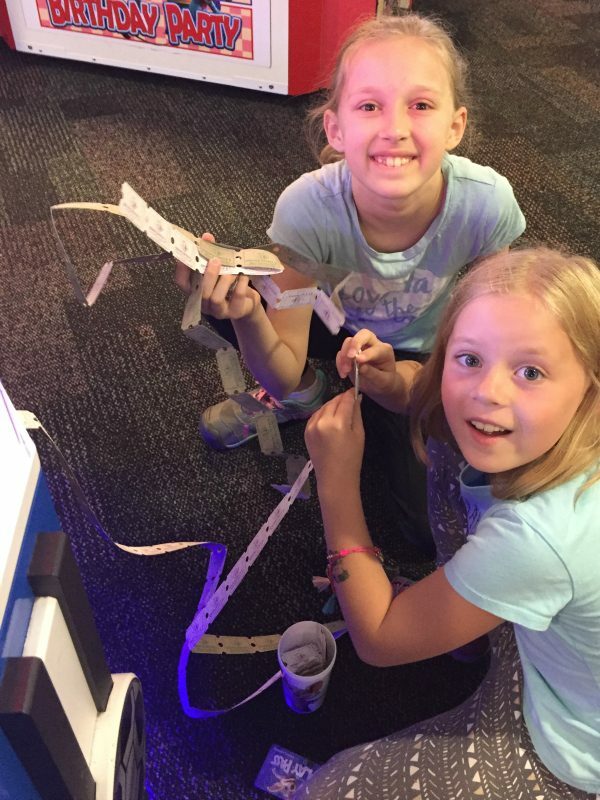 They played for 2 hours, but I swear they could have kept going all day, it’s actually kinda nice when the tokens run out :) Then it was time to count up all the tickets through the machine and head to the prize center – always the best part to see what you can get for your tickets! One of my favorite things about Chuck E. Cheese’s is their group check in and check out, especially when you have little kids with you. 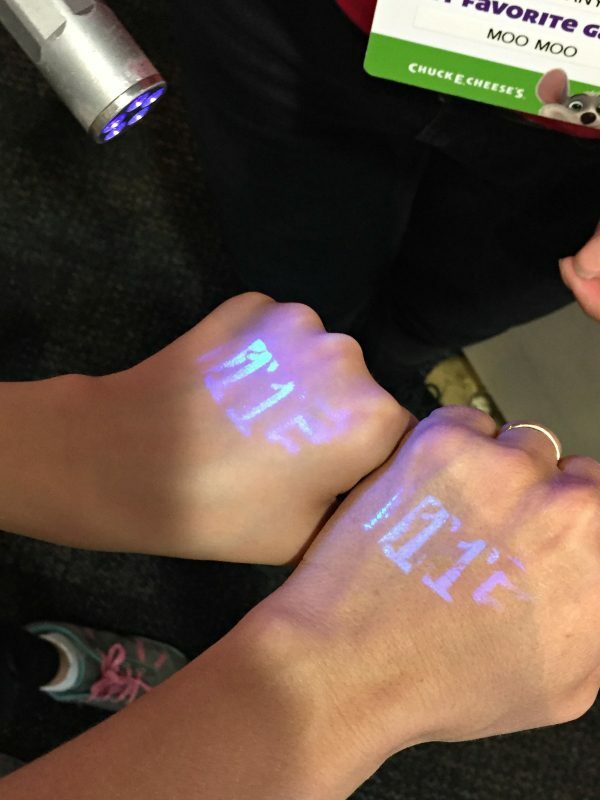 They check each person in your group with a black light to make sure all our numbers match! 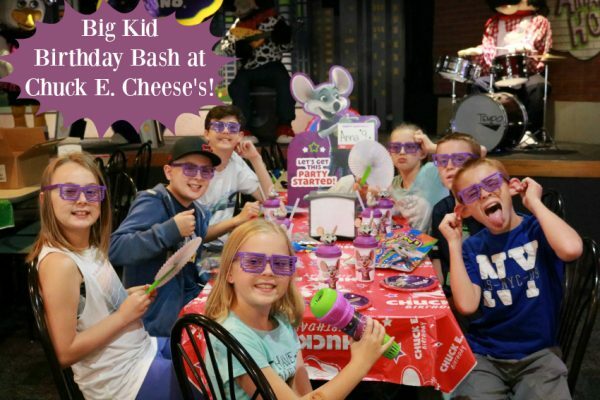 Be sure to check out Chuck E. Cheese’s for your next party, America’s number one place for birthdays! 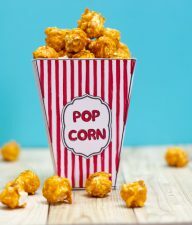 **Free Cotton Candy for Parties with 12+ Children, booked and held 6/5-9/30** Follow them on Facebook, twitter, and Instagram for more ideas and inspiration!